WEIGHT: 2956 LBS; PLATFORM LENGTH 65" EXTENDS TO 103". STOWED HEIGHT WITH RAILINGS = 79"
ELECTRIC-HYDRAULIC FOR USE ON HARD, FLAT LEVEL SURFACES. 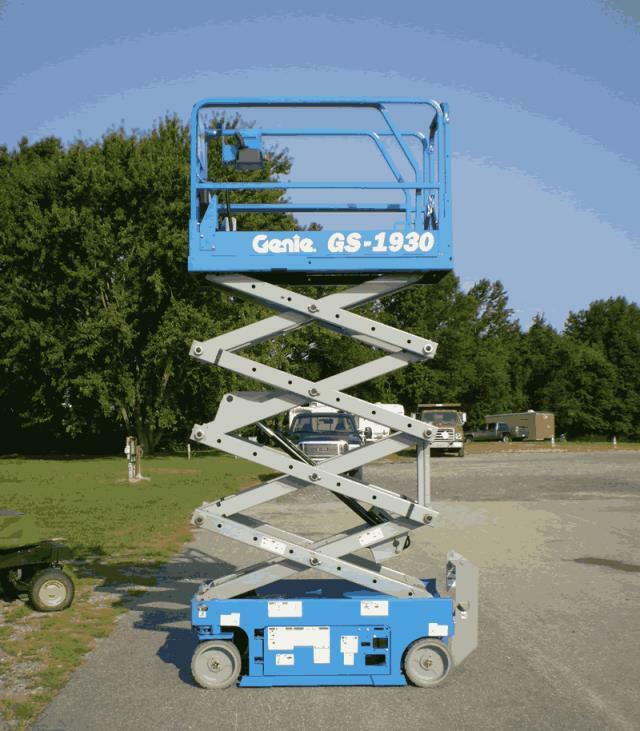 * Please call us with any questions about our scissor lift genie gs 1930 rentals in Old Town ME, Milford, Bangor, Pea Cove, Eddington, Bradley, Orono, Bangor ME.